A recent biography tries to prove Marx’s irrelevance. It fails miserably. Does the world really need another Marx biography? As a fan of the man as thinker and (to some extent) as historical figure, normally my answer would always be “yes.” However, recent years have seen a spate of new Marx and Engels biographies that have been thorough and substantive on all aspects of their lives. Tristram Hunt’s irreverent but sympathetic biography of Engels ( Marx’s General , 2009); Francis Wheen’s fine overview of Marx’s life and thought ( Karl Marx , 2000); Mary Gabriel’s brilliant study of the intersection of the private lives and public convictions of the whole Marx-Engels clan, including children and domestic servant ( Love and Capital , 2011) — each have provided well-researched twenty-first century retrospectives on the lives of the great revolutionaries. Add to that the biographies I would consider the standard classics from the previous generation — David McLellan’s Karl Marx: His Life and Thought (first edition 1973, now on the fourth) and J. D. Hunley’s underappreciated study of Friedrich Engels ( The Life and Thought of Friedrich Engels: A Reinterpretation , 1991) — and it becomes a truly daunting task to add much new content to our view of either man. Nonetheless, Jonathan Sperber has persevered, and while Karl Marx: A Nineteenth Century Life is not an overall success, it certainly has some merit of originality of approach. Sperber’s speciality is nineteenth-century German history, especially of the various mid-century radical factions and figures around the 1848–49 revolution, and this shows. The subtitle puts his cards directly on the table, as does the introduction to the book: Sperber is convinced that Marx was fundamentally a figure of that period, never escaped the limitations of the mid-nineteenth-century worldview, and has very little to offer to anyone living in later times. This is the burden of his biography, quite contrary to virtually every other biographer (friendly or hostile), and Sperber throughout portrays all developments with an eye to making this case. Unfortunately, the argument is simply not plausible, and it leads not just to an at times rather contemptuous treatment of the subject, but also to some very odd shifts of emphasis and context. Sperber cannot be faulted, it should be noted, for striking inaccuracies of fact or historical detail. He only occasionally slips up (The Hague is not the capital of the Netherlands), and in some small respects he even manages to add more information and correct some previous biographers, such as Marx’s relation to Feuerbach or in the supposed controversy of his marriage to Jenny von Westfalen. One can see that Sperber is best at home in the Germany of the 1830s–1850s, and the sections of the book devoted to Marx’s adventures in (Young) Hegelianism and away from it again, as well as Marx and Engels activities around 1848, leading to the birth of the Communist Manifesto , are the best of the book. One of Sperber’s justifications for the new biography is the “unprecedented access” to the new MEGA2 scientific editions of Marx and Engels’s collected works vaunted by the publishers, and likely some of the matters of biographical detail corrected in this biography are to be found there. Much has been made in certain Marxological circles, especially German-speaking ones, of the great significance of the MEGA2 project and the wholly revised view of Marx’s life-work it would present. But Sperber’s biography can be taken as evidence to the contrary. Where Sperber varies from the established insider view in any major way, it is in matters of interpretation and opinion rather than of fact and chronology, and indeed very little by way of new theoretical or political advantage is gleaned from these archives in this work or others I have seen. But Sperber opens his work with a series of bold, unsupported assertions: that Marx’s idea of the social revolution to come was essentially a rerun of the French Revolution’s Jacobin moment; that Marx’s view of capitalism described only the capitalism of the early to mid-nineteenth century and that none of his crucial insights apply to the modern day; that the bourgeoisie Marx by turns excoriated and exhorted has nothing to do at all with the capitalist or bourgeois class of today; and that Marx essentially foresaw nothing of lasting importance for the future. 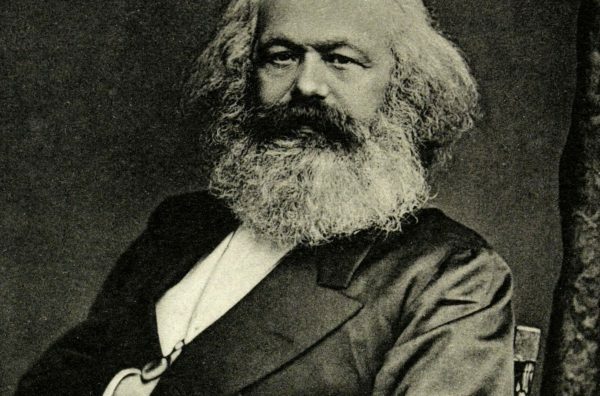 “The view of Marx as a contemporary whose ideas are shaping the modern world has run its course,” Sperber insists — a tall order indeed, not least when even now millions belong to political parties and movements invoking his name and several countries are ruled by those, rightly or not, claiming his inspiration. Neither in his introduction nor in the work itself does Sperber find a real justification for this view. He rightly notes, of course, that Marx failed to observe many things that would become especially important in the twentieth century West: the rise of the “social movements,” the enduring importance of nationalism, the Russian Revolution, or even the rise of neoclassical economics. In the face of this, Sperber resorts to two strategies for sustaining his dismissal of Marx’s posthumous relevance. Firstly, his book throughout treats Marx’s political, theoretical, and organizational commitments and shifts in a remarkably psychologizing and subjectivist manner. For Sperber, it seems every decision of Marx (or Engels) on whether to support this or that movement, or whether to participate in this or that organization, is largely determined by Marx’s mood and illnesses at the time, by his personal relations with the characters involved, by whether he was poor or in a period of relative comfort, whether he thought to gain something by it, and so forth; in short, by any criterion except a serious commitment on Marx and Engels’s part to undertake what they claimed to undertake, a “scientific socialism” that — successful or not — had the ambition of both scientifically sustaining the possibility of a communist revolution and showing the way towards that revolution. There is no doubt of course that both gentlemen went through several phases of thought in their lives, and that they were by no means always consistent or single-minded on every question, as Sperber aptly shows. But he overeggs the pudding by refusing to consider first whether an apparent arbitrariness or inconsistency over time could not be explained in theoretical or strategic terms, before simply assuming the decisiveness of personal quirks. Marx and Engels were both men of great personal conflicts and of at times domineering attitudes, but this need not dominate our explanations any more than Darwin’s work and his changes of view are best explained by his personal feelings about the peoples of Tierra del Fuego or about race relations. Sperber’s approach has the merit, to be sure, of not making the opposite mistake: unlike some biographers on the other end of the spectrum (not least politically), he does not assume beforehand to study Marx in “the unity of his thought,” nor that any complete consistency of approach and “method” is to be found in Marx’s work throughout his life. It is a welcome reminder in some senses that the enduring problems of the Left — how to relate to certain nationalist movements, whether it is better to pursue communism in larger states or to support self-determination for minorities first, how to engage with gender and race questions, how to separate personal sectarianism from principled differences, how to approach elections, reform measures versus revolutionary adventures, etc. — were just as much problems Marx and Engels had trouble solving and had inconsistent views on. Indeed, more often than not all sides in these debates have been able to find quotes from the masters in their favor, which should be telling. Also, despite his occasionally dismissive attitude toward the substance of Marx’s thought, Sperber is fairly accurate in representing it. Even the section on Marx’s economic thought, often a stumbling block for unwary biographers, is acceptable enough. But this is mitigated by the second aspect of Sperber’s historicizing strategy: in line with his own specializations, Marx’s actual theoretical thought — especially that of the later period after the US Civil War — is treated in a very summarized way compared with the great attention to detail shown toward interpersonal relations among various more or less obscure Victorian radicals. To be sure, the author has the requisite discussions of the views of the Manifesto , of Marx’s efforts in Capital , his historical and journalistic writings, and so forth. But most of these are given a few pages of loose description at most, and generally with a focus on their significance for Marx’s relations to existing radical movements and figures, rather than any serious discussion of their substance. This approach fits with the notion that these theories are now mere historical curiosities, and that the main point of reading about Marx is the entertainment value of Victorian polemics (certainly not to be underestimated). But it can equally be accused of being a biased presentation that assumes what it needs to prove: that these theories have little to offer to today’s world. Something similar goes for Sperber’s repeated emphasis on Marx’s “accelerationist” support for free trade over protectionism — an interesting observation, no doubt, but one suspects only highlighted here because it looks odd compared to the views of most later Marxists. Whenever actual revolutionary theories are discussed, Sperber quickly dismisses them as being really about a Jacobin-type coup, a statement not anywhere substantiated and dismissed by virtually every specialist on Marx’s revolutionary thought. Sperber’s historicizing allows him to avoid an overly retrospective reading and to give a more nuanced discussion of, for example, the claims about Marx’s supposed anti-semitism and Marx’s enduring, at times paranoid, hostility to Russia. But in this way it also effectively disappears the significance of works like the Grundrisse , Theories of Surplus Value , and Marx’s notes on marginalism (which, contra Sperber, he was aware of). This approach portrays Capital as a merely scholarly, not very revolutionary post-Ricardian corrective (here and in the discussion of the “transformation problem,” Sperber seems to owe more to the followers of Italian economist Piero Sraffa rather than of Marx) and ignores how Marx also wrote it “to put a weapon in the hands of workers,” as Harry Cleaver phrased it. Sperber notes Marx’s growing interest in rural affairs and in the possibility of revolutions outside the industrialized world in the late period, but sees this as an oddity impossible to explain on the basis of Marx’s “long-held theories of social development.” Marx is thus given no credit for his shifting views: he is portrayed as backward looking and inconsistent where many others have seen an increasingly anti-Eurocentric and anthropologically engaged perspective (Marx’s anthropological interests appear not at all). Similarly, Sperber observes that Marx had an interest in agricultural chemistry but views this as a marginal hobby. He notes neither the great prescience of Marx and Engels’s interest in agricultural transformation and ecological constraints, nor the importance of their comradely relations with Justus von Liebig, the nineteenth century’s greatest organic chemist. A more theoretically engaged view might have noted the significance of these pastimes — not as proof of an inability to deal consistently with Malthus, as Sperber at one point suggests, but as important for the “abolition of the contradiction between town and country,” and indeed as empirical evidence that Malthus’ approach was not justified. But this may also be because Sperber indulges the usual fulminations against Engels, whom he accuses of having invented the image of Marx as a “scientific socialist” and who is to blame for all the “positivism” in his thought. This is not to say the book will be of no interest to people familiar with Marx. There are some intriguing details, such as Marx’s love of chess and the influence of Eduard Gans on his early formation. More significantly, Sperber’s book is good if one is mainly interested in Marx’s personal connections and relations to the various movements of ideas and politics of his time. Sperber has some useful things to say about the enduring ambiguity between what he (not very helpfully) calls positivism and Hegelian approaches in Marx and Engels’s thought, and he is also astute in relating the difficulties Marx and Engels had with the various claims of nationalist movements (although on the latter, Hal Draper probably offers a more politically aware treatment). On the whole, however, his work is vitiated by an unwillingness to separate major and minor elements in Marx’s life. And its great failure is treating Marx as a figure who cannot be read through any lens that might imply theoretical relevance. Sperber’s irrelevance thesis is not plausible on its own terms. It is even less so in the face of the enduring vitality, despite considerable defeats and setbacks, of Marxist politics around the globe; the continuing appeal of Marxist political economy to many seeking to explain the crisis-ridden nature of capitalism; and the recurrent “returns of Marx” fearfully invoked by the liberal press every few years. Marx’s life and personality may have been a nineteenth-century one, but his ideas continue to make their mark on all spheres of twenty-first century thought, from revolutionary theory to social science. And that is surely all one can demand of a thinker from the past. Matthijs Krul is a research fellow at the Max Planck Institute for Anthropology in Halle (Saale), Germany and blogs at mccaine.org.